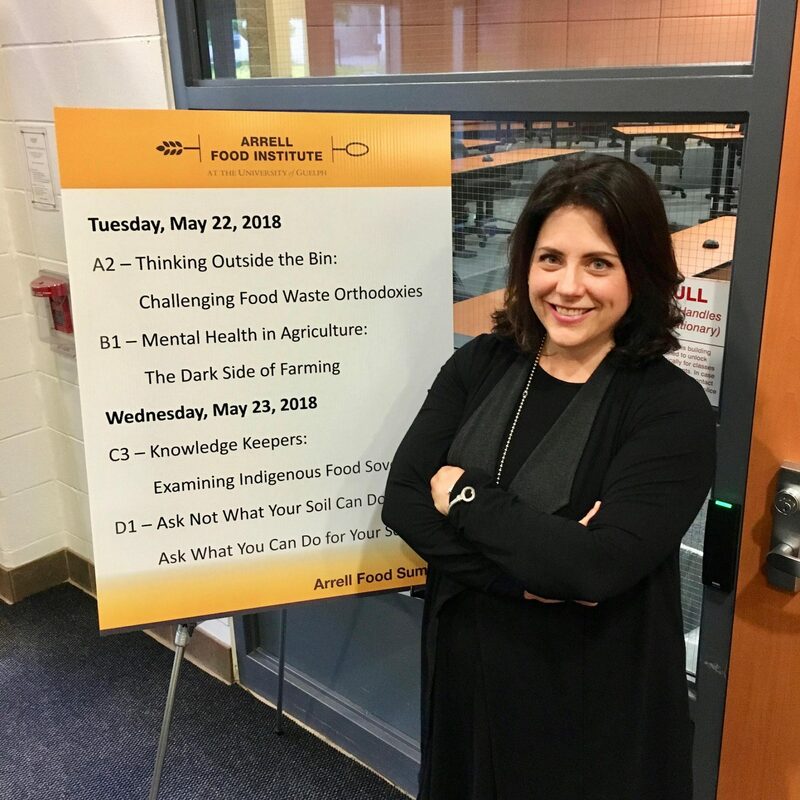 Ontario Veterinary College associate professor of epidemiology Andria Jones-Bitton at the Arrell Food Summit on May 22, 2018. Farming has always been hard work. But there’s a big drop between honest, hard labour and crushing, financial pressure. That’s why, from New York to India, suicide is on the rise amongst farmers. Jones-Bitton works with farmers to train them in mental health literacy. A huge and recurring issue, she told the audience during her panel session Mental Health in Agriculture: The Dark Side of Farming, is Facebook, Instagram and Twitter. Most of us have experienced how social media has trended toward mob justice, but at the same time its power to connect us with new and interesting people. For farmers, who are literally siloed from society, that last part can be a blessing. But it quickly turns into a curse, when the lack of understanding between urban and rural communities leads to misplaced criticisms of farming practices.